KAMPALA – An FDC youth leader has dragged the party to the High Court, accusing it of sacking him from its youth wing without following the procedures. Through his lawyers of Semwanga and Muwazzi Advocates, Idi Ouma says that on July 8th 2015 in an election conducted by the party electoral commission chairperson Dan Mugarura, he was elected as the youth chairperson for a term of three years. However, he says he was surprised to hear that he was replaced over some accusations against which he was not given a fair hearing. Ouma pointed out that he received a communication from party national chairman Wasswa Birigwa that he had been removed from office by a meeting which sat on November 29th, 2018 at the party headquarters without his knowledge and that he was not summoned to defend himself. This he says contravenes the party youth league constitution. According to the documents before Court, Ouma’s removal was based on the allegations that he had joined another political group and that he was no longer attending party meetings. 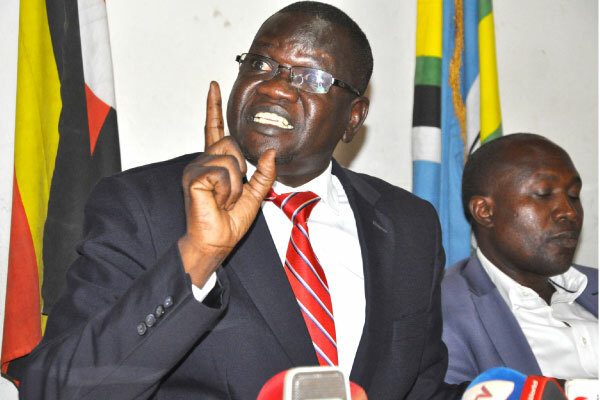 It is from the above reasons that Ouma wants court to issue a permanent injunction restraining Mulindwa Walid who is said to have replaced him from executing the duties of the chairperson for FDC National Youth League. Secondly, he wants court to declare that FDC has no powers to remove him from office and replace him with another person without following the constitution. The case is yet to be allocated to any judge.